No one knows where the Nez Perce people began their legendary relationship with horses. Both historians and anthropologists alike are unable to document exactly when the Pacific Northwest tribe actually acquired the horse. 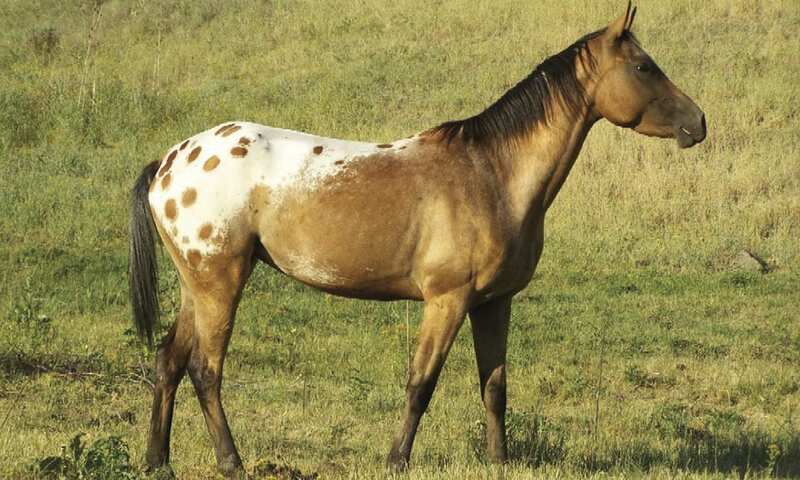 While it is generally accepted that the Spanish introduced the modern equine back into the Americas around 1730 (North America’s indigenous horses had perished from the continent during a previous ice age) and that the Plains Indians quickly acquired them, there is also speculation that both the Nez Perce and their spotted horses (which figure prominently in historical Asian and Chinese art) may have migrated across a land bridge that once existed between the Far East and North America during an interglacial period. Though we may never know the exact origin of the relationship between the Nez Perce Indians and their beloved mounts, we do know that when Captains Lewis and Clark returned from their famous expedition into the Pacific Northwest in 1806, they remarked that the Nez Perce, with whom they had stayed, owned the largest herd of horses on the Continent. Just what did the original Nez Perce Appaloosa look like? Meriwether Lewis, in an 1806 journal entry, wrote of the Nez Perce: “Their horses appear to be of an excellent race: they are lofty, elegantly formed, active and durable: in short many of them look like fine English horses and would make a figure in any country.” The Nez Perce horse was a great source of both pride and wealth to the tribe and enabled them to travel great distances to visit other tribes participate in the growing trapper industry and to travel to what would one day be Montana and Wyoming, at that time, prime Buffalo country. The Nez Perce were renowned horsemen, sophisticated horse breeders, avid hunters, and when necessary, bold warriors, thriving until their perilous encounter with the U.S. Cavalry in the summer of 1877. When the tribe was ordered to leave their homeland in the Wallowa Valley of eastern Oregon for a smaller reservation in Idaho, eight hundred men, women, and children and 2000 horses fled. In a historic chase over the Bitterroot Mountains of Idaho and across much of Montana, the Nez Perce evaded the U.S. Cavalry, until just thirty miles from the Canadian border (where they were headed for asylum) they were apprehended. There the brave Nez Perce were forced to surrender, and their horses, long coveted by the Cavalry, were taken from the tribe. Without their treasured steeds, the tribe’s nomadic existence came to an end, and this link to their past was brutally severed. Over decades, the tribe’s foundation stock was scattered and cross-bred, resulting in the original breed’s total disappearance. Today’s Appaloosa was recognized and registered in 1938. But it is not the original Nez Perce horse. In a noble and ambitious effort to bring back their historical horse, the Nez Perce tribe, now centered in Lapwai, Idaho, created a registry in 1995 for a new breed of horse, aptly called the Nez Perce. 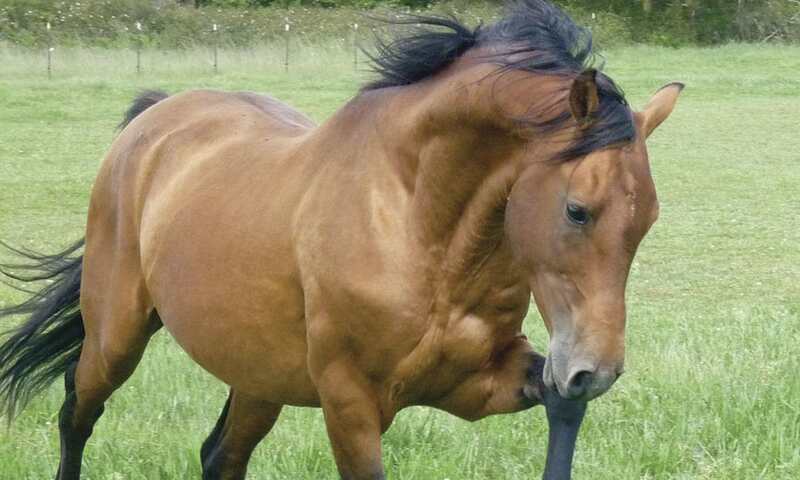 They realized the characteristics this new breed must posses would need to be exacting if it was truly going to resemble the historic horse of their tribe. It was decided that the Appaloosa would be bred with the Akhal-Teke horse of Turkmenistan, possibly the most ancient breed in the world, and the purported mount of both Alexander the Great and Marco Polo. It is also thought to be a probable progenitor of today’s English thoroughbred by way of the Byerly Turk and the Darley Arabian. It has been suggested after much scholarly research on the subject, that the Akhal-Teke could be an actual ancestor of the original Nez Perce horse, according to Nez Perce elder Rudy Shebala, who spear-headed the program. 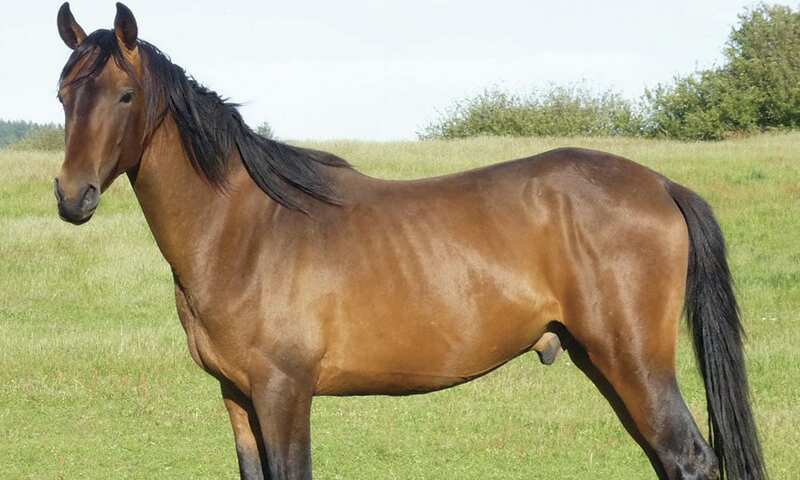 As luck and fate would have it, Minnesota businessman Hans Sprandtel generously donated four Akhal-Teke stallions, two mares, and three geldings to the Nez Perce Horse registry program and the match was made. Shebala used four modern Appaloosa mare types for his foundation: The Quarter/Appaloosa; the Thoroughbred/Appaloosa; the Arabian/Appaloosa; and the Appaloosa/Appaloosa. The offspring of this mating have proved remarkable. The Nez Perce have a distinctive looking small head and a conformation that is longer and leaner than a Quarter horse or other stock horses. Narrower shoulders and hindquarters complement a longer back and an overall lean appearance. A typical Nez Perce is a buckskin or palomino and there is often a sheen to the coat, reminiscent of the shimmering iridescence of the Akhal-Teke. Many of the new horses also have the characteristic blanket or spots of the Appaloosa, along with striped hooves and mottled skin. The Nez Perce breed displays a sensitive and gentle disposition. They are intelligent, curious, and eager to please, while retaining the noble attitude of “allowing” people to ride them. Their swiftness and high endurance makes them well suited for many equestrian disciplines, including competitive trail riding, dressage, jumping, cutting and reining, and western pleasure riding. The initial breeding program was financed by the U.S. Dept. of Health and Human Services, the Nez Perce Tribe, and a nonprofit group called the First Nations Development Institute. As a result, the Nez Perce tribe has regained a legacy that has not only re-established them as premier horse breeders, but has served them well economically, igniting a renewed desire for education in the old ways and pride in what was once thought to be lost forever. (Originally published in the September/October 2012 issue of Cowgirl Magazine).